If the Power Is Out, Can You Still Call Emergency Services? Even when the power is out, you should be able to call 911 or emergency services. That’s why the Federal Communications Commission (FCC) in the United States requires voice service providers to inform you about backup power options for your phone service. When the FCC first issued the regulation in 2015, it required that backup power for voice systems run for at least eight hours during an outage, but as of February 2019 that minimum requirement increases to 24 hours. Other countries around the world have different requirements but the issue remains the same. Individuals who depend on internet for their phone service need a backup plan when the power goes out. If you still don’t have backup power for your phones, however, you might not want to wait until then to get it. With hurricane season under way, the possibility of an outage is always looming, especially if you live in the U.S. Eastern Seaboard where the storms are common. 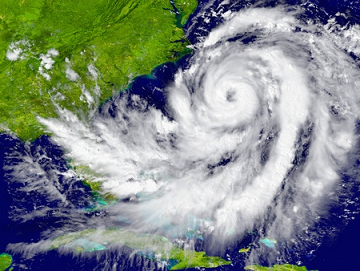 Hurricane season lasts from June 1 to Nov. 30. It’s impossible to predict how bad a hurricane season will be on any given year, but to be safe, everyone should prepare for worst-case scenarios. Regardless of how this season turns out, it is important to ensure your ability to use your phone during any type of power outage to reach emergency services or stay connected with friends and family. Most phone systems today require power to operate. Cell phones are an option of course, but circuits tend to get overloaded during emergencies, making it difficult for callers to get through. In any case, cell phone batteries eventually will drain. It was with this in mind the FCC started requiring voice service providers to give customers backup power options. The rule applies to all providers of fixed voice services that are not powered by the phone lines themselves as in the days of analog phones. This includes Voice over IP (VOIP) systems and fixed wireless services that for years have been replacing legacy analog systems. The FCC doesn’t mandate providers to sell power backup solutions, but rather that they offer customers options to purchase them. It’s still up to the customer to make the final decision. From the provider’s point of view; however, alerting the customer to options for keeping their services up during an outage has a positive effect: It tells customers that new solutions such as VOIP and fixed wireless services are reliable technologies. There are multiple options for backup power / uninterruptible power supply (UPS) solutions to ensure your power supply for phone service are always available. During an emergency, it is more important than ever to have Certainty in a Connected World to keep communication lines open. Want to learn more? Check out this short video on the new backup power product for VOIP services.